​We embrace a group of local diverse women who are interested in supporting our local community in the greater Cleveland metropolitan area. We welcome women from all walks of life and varying financial backgrounds. As individuals we felt that it was challenging to make a meaningful and positive impact in our community, but collectively we have the ability to contribute to the growth of our community in ways that we never thought possible! 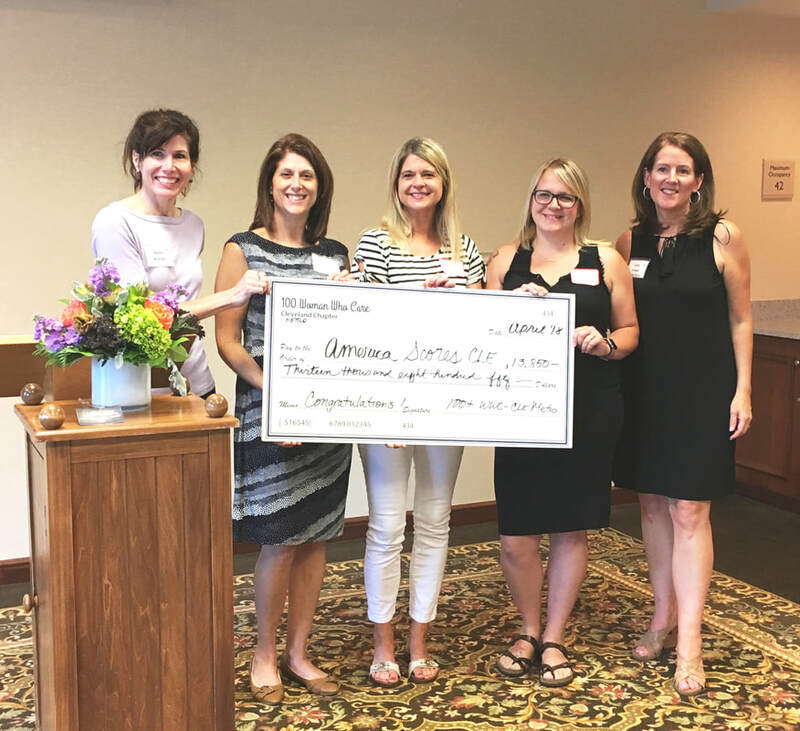 Our mission is to reach out and support our community by engaging at least 100 or more women to each contribute $100 on a quarterly basis, ($40,000+ annually) to local charities. All charities and organizations up for consideration must be in the Cleveland Metropolitan area (Serving Cuyahoga, Lake, and Lorain counties including surrounding areas). The idea is to keep it local and have an impact that WE can SEE in our communities! “What a great way to maximize impact and minimize hassles. No “the check is in the mail.” No treasurer. No keeper of the cash. No operational budget. No planning meetings that last an eternity. No walks, races, auctions, dinners or dances to attend. Just one 60-minute meeting four times a year.”​ - Regina Brett, (Regina Brett is a New York Times bestselling author, former newspaper columnist for The Plain Dealer, columnist for The Cleveland Jewish News, and an inspirational speaker). Check out our selected charities and see to whom we have given out over $450,390 in donations! Our next meeting is scheduled for Thursday, July 18, 2019 (from 6:15 to 7:15 PM) at the Hilton Garden Inn - Cleveland Airport. ** We would like to thank the Hilton Garden Inn - Cleveland Airport for generously donating their meeting space to our group! Please send us a message if you have questions about our organization, the website, or if you are interested in joining. Click this link and Like us on Facebook!